Many people have reported that they are unable to open setting in Windows 10. When clicked on setting, it opens up Windows Store instead. Microsoft is already aware with this issue in Win 10. Microsoft has classified this problem as Emerging Issue 67758. Before trying any solution provided here, make sure your Windows is up to date. 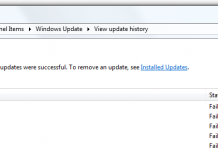 Microsoft released KB3081424 to prevent this problem for reoccurring. This update does not restore the setting app if you are already facing the issue. 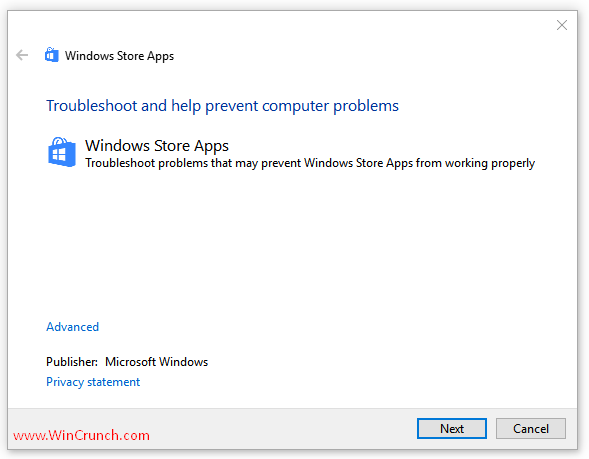 Download the troubleshooter for Windows apps. After Downloading, click on the file to run it. It will open a dialog box, click on next. Wizard will open a screen which says “Fix or work around emerging issue” if your Windows is facing any issue related to Windows Store. Follow the wizard to solve the issue. If you can not open Setting after running the troubleshooter or the troubleshooter could not find any issue with your Windows and you are really frustrated with this issue, you can follow this workaround to create a new user account and move all your files there. Add new user through control panel or open Microsoft Common Console Document. To open it search ‘lusrmgr.msc’ or press Win+R, type lusrmgr.msc in dialog box. Type the information for new User. Sign out and login to your new account, and try to open Setting app. If you can open setting app in your new account, move all your files and data to new account. If you were using Microsoft account to sign in, associate it with new admin account. Go to Settings > Accounts, select Sign in with a Microsoft account instead and type in your account info.